A snowstorm can be tough on your home. After the storm has passed, you may think you’re in the clear from storm-related damage, but that isn’t always the case. 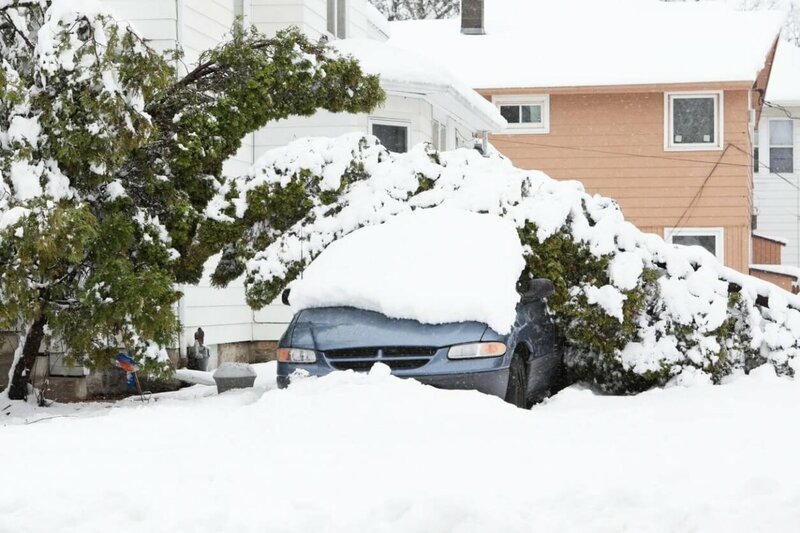 The risk of cold, wind, falling tree branches, ice dam damages, and damage from melting snow are all areas of concern. These elements put your home at risk so you must make sure to have proper insurance that covers these damages.When it comes to losses resulting from certain damages, sometimes a general homeowners insurance does not apply, so you’ll need extra protection. A homeowners insurance policy typically covers damage that results directly from winter weather events such as trees falling on homes, roof collapse due to snow accumulation, wind damage during a blizzard, displacement due to a major power outage, and frozen or busted pipes (events that could not have been prevented). Keep in mind that this is subject to exception. If you get a leak in your home due to melting snow where the water is coming from above, the resulting damage is often covered by your homeowners insurance. If the water never touches the ground, the water damage will likely be covered under your homeowners coverage. Ice dams are another unfortunate occurrence during winter weather, and may cause extensive damage. They prevent water of melting snow from running off your roof and draining, leading the water into your home. Water damage from ice dams may be covered under your homeowners insurance, unless the ice dam is a result of failure to maintain your home. Pipes: Broken due to lack of care. Trees: No action taken to trim or remove trees on the verge of causing damage. Snow: Damaged due to melting snow seeping through a roof in disrepair or improperly installed. Ice: There may be rules regarding prompt snow and ice removal. Storms: Evidence that a homeowner could have done more to protect the property before or during a storm. The big issue to watch out for is flooding, which is not covered by a homeowners insurance policy. Melting snow can cause flooding into your home. A flood insurance policy will likely be needed to cover most scenarios where any flooding is involved to help you recover from water damage.